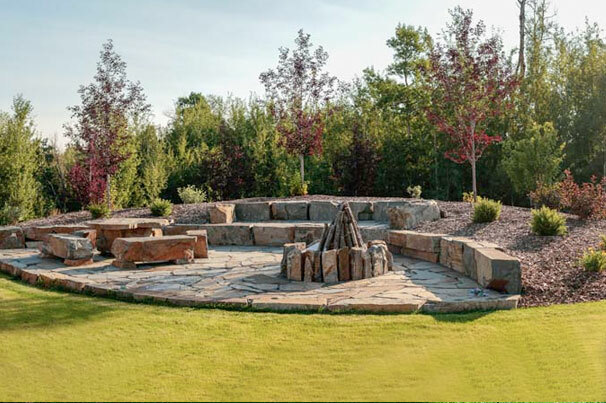 Our goal for you is to create a custom landscape that makes a difference in your life. 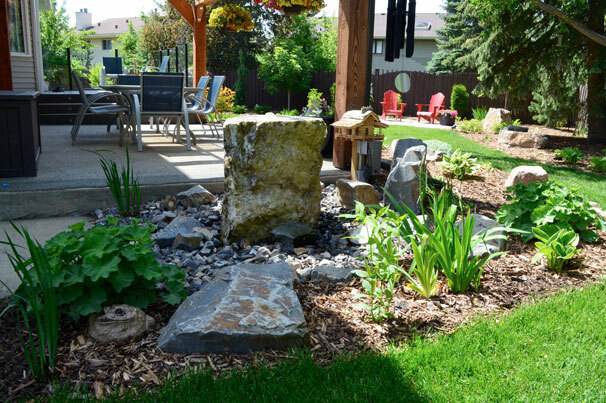 a more modern theme, so by incorporating statues and stream lined water features and fountains, you are embracing the concept of contemporary into your design. Geometric shapes and repeated patterns of hardscaping and structural elements should be plentiful in this type of garden. A pergola makes a dramatic statement. Don’t think your yard is big enough to be gorgeous? Think again! Salisbury excels in making small spaces magical. You will find flowers such as daylilies, hosta and sunflower, perhaps even sown in concentric circles in this energized space. Incorporating larger shrubs and even plants that you can harvest and eat will fit nicely into this landscape. The bright and abundant colours that flow with continuous movement and fluidity are enhanced by the multitude of textures and exquisite aromas that all the plants in this space display. 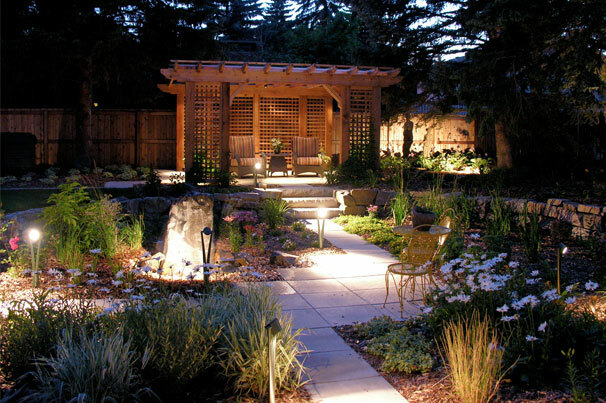 A traditional garden or landscape utilizes more traditional building materials to present functional space to be both utilized and enjoyed. 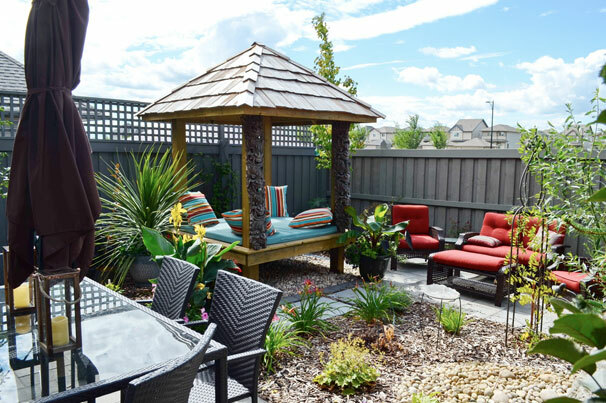 The goal of a traditional landscape is to compliment your entire home’s aesthetic by adding not only colour, but also texture, in a functional way. Strategic stone paved pathways or stone walls are used to enhance the space. Repeating the stone patterns in different areas will give a uniform look, while enhancing the overall functionality. Statement making. Foundational. Beautiful. Nothing adds a sense of bold presence like stone steps, walls and streams. Rustic design is dramatic and lasts forever. No one does rustic like we do. It tells every visitor that your yard has been customized to you and your lifestyle. We live in the prairies but you can bring the Rocky Mountains home. Once we’ve created a landscape design that you love, we start on the build phase with your project coordinator.